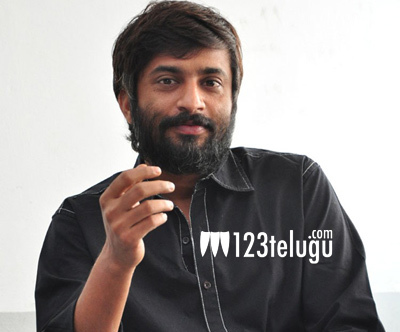 Director Hanu Raghavapudi earned a good name for his debut film Andala Raakshasi. After a huge gap of three years, he is back with his new project Krishnagadi Veera Prema Gadha. On this occasion, we caught up with him for an exclusive interview. Let’s see what he has to say. Q)Why did you take a long gap after Andala Raakshasi ? Post mu debut film, I worked for one and half years for my second. When everything was set to go fine, some unnecessary disturbances creped in and I had to back out of the project. After that, I wrote this script and here I am with the film. Q)What is KVPG all about ? It is an interesting love story interlaced with some good emotions. The way we have set the 15 year old love with an interesting backdrop is the selling point of the film. Q)Why did you base this film in a Rayalaseema backdrop ? Some stories need certain set ups. My story needed huge barren lands which were in abundance in the Rayalaseema area. After going for the location hunt, we felt that out story would be apt if is placed in this set up. Q)How difficult was it to shoot in those areas ? We face a lot of crowd problems who flocked in huge numbers to see Nani and the shoot. Also, the locations chosen were quite difficult to shoot. But after seeing the final output, I felt that all our hard work was worth it. You will see some very unreal and never before seen locations in KVPG. Q)Being an assistant director himself, did Nani ever interfere in the film ? No ! not at all. In fact, a number of times, he gave some interesting suggestions which looked beautiful on screen. It was a mutual understanding and we worked as a team to get the best output for the film. Q)Tell us about the heroine Mehreen ? After a lot of rigorous auditions, we finally zeroed in on Mehreen. She has done a wonderful job and looks her part well. Also, the kids which we have chosen gave a fantastic performance and will be the key to the film. Q)Tell us about Nani’s performance ? We all know what kind of an actor Nani is. He is the main highlight of the film and has given a tremendous performance. Be it his comic timing or emotional scenes, he has given a superb output. Q)Will the huge expectations from BBM’s success hamper your film ? No! not all. Our film also has ample entertainment and will hit the right chord with the audience. I will be doing yet another film in 14 Reels banner and Nani might most probably star in it. With that, we ended our interview with Hanu and wished him the best of luck for his film.